DC United v. Real Madrid | Flickr - Photo Sharing! DC kit and a Madrid scarf: this was what it was all about. 9aug09, FedEx Field, Washington DC: a bit of crowd color during the friendly (a.k.a. 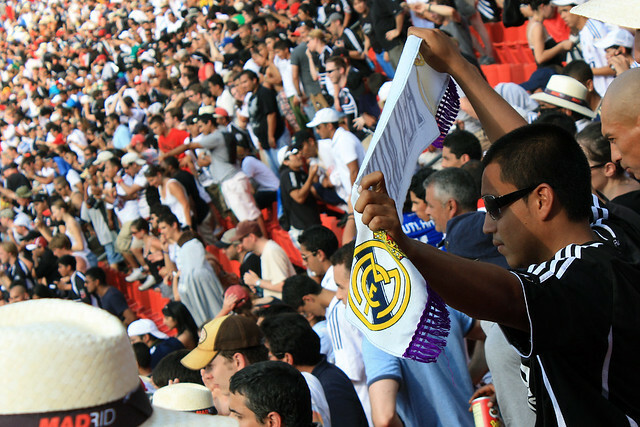 utterly meaningless match but damned entertaining nevertheless) of DC United v. Real Madrid. Hottest goddamned day of the year. And yes, I was in the black kit. True fandom knows no limit to sacrifice.